KPMG’s insights into the joint standard on revenue recognition from the IASB and FASB. 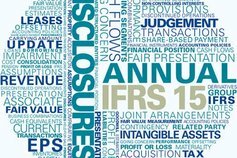 Insight and analysis on the impact of IFRS 15 Revenue from Contracts with Customers. It's likely that the new revenue standard will affect the way you account for revenue. Published jointly by the IASB and FASB in May 2014, it replaces existing IFRS and US GAAP guidance and introduces a new recognition model for contracts with customers. For some, the new standard will have a significant impact on how and when they recognise revenue. All companies will be subject to extensive new disclosure requirements. Our materials help you understand the new requirements, assess the impact on your company, and keep up to date with the latest developments on the new standard. What's the best option for your business?